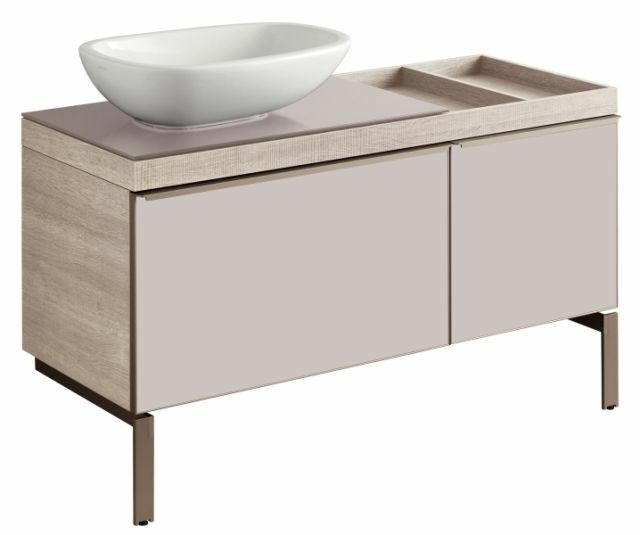 Oak finish vanity unit part of the CITTERIO range, featuring a glass plate with left siphon cutout, shelf space to the right, two pull out drawers with a self-closing mechanism and champagne coloured handles and one interior drawer. Can be combined with CITTERIO 750 mm wash basins. 1184 x 543 x 504 mm.